What is the LBD Project all about? 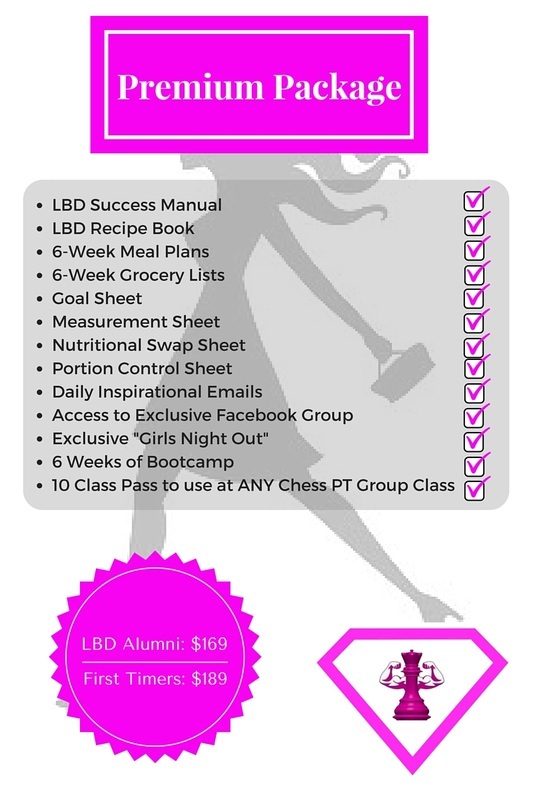 The LBD Project was designed by a women for women to teach them how to live a healthier and better life. For 6 weeks you will receive all the benefits of the LBD Project, and we will conclude the challenge with a special night out to celebrate our success! 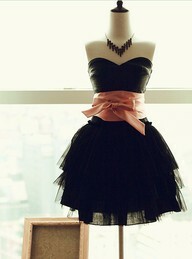 (And you get to wear your "Little Black Dress" which will be your goal outfit.) So what is included? You can’t out train a bad diet. Any training program isn't complimented with good nutrition will fail, that’s why we built you a nutritional framework that’s flexible and fits your lifestyle. No more “rabbit food” or fad diets. We understand that sometimes you just need someone to show you how or tell you what to do, this is were we have you covered. No need to think, just do what’s meal plan and the results will take care of themselves. No need to think about what to buy at the shops! It's all DONE FOR YOU! We made sure to include a 37-PAGE recipe book that includes GREAT TASTING foods from: smoothies to seafood and soups, beef and chicken to name a few. Most of the recipes have been trailed by families, and most reported that even the kids licked their plates clean! Healthy eating doesn't have to be boring, or bad tasting! This is where most people fail - they really have no idea what a "portion" looks like. Wonder no more! No need to ever count another calorie in your life! To keep you on track when life happens and you go out for a meal. *Daily Inspirational Emails Some days are harder than others. Making a health and fitness lifestyle change isn’t always going to be easy, if it was you wouldn’t be here. We know, we’ve been there too. There will be moodswings, there will be feelings of doubt, there will be meltdowns, but that is why we make sure to include some of our best and most inspirational pieces that keep us going when the day is hard. Some days you just need to be reminded that you are on the right path and success is right around the corner. * Measurement sheet to track your progress. The results speak for themselves - check out these before and after pics!